The City of Tucson is making the most of monsoon. A new policy calls for water harvesting at all construction projects. Among the traffic cones and signs at Grant Road and First Avenue, you may not have noticed basins along the sidewalks and in the median. Crews are collecting rainwater. 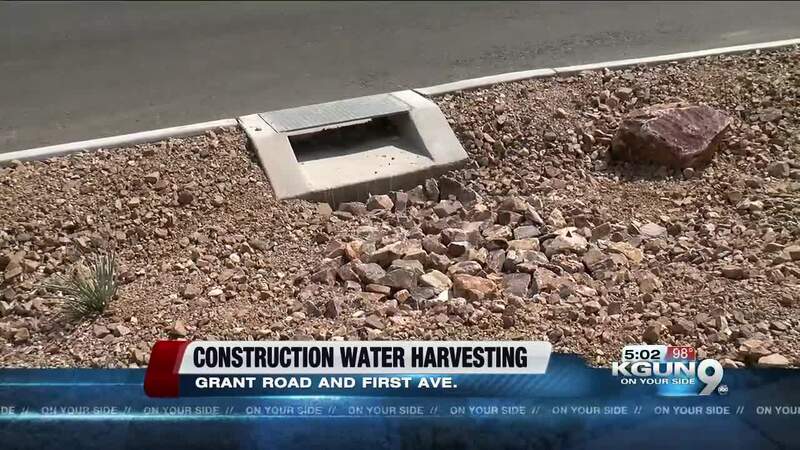 "Rainwater is basically free, so if we can utilize it, it's to our advantage," Gary Wittwer, landscape architect with the Tucson Department of Transportation said. 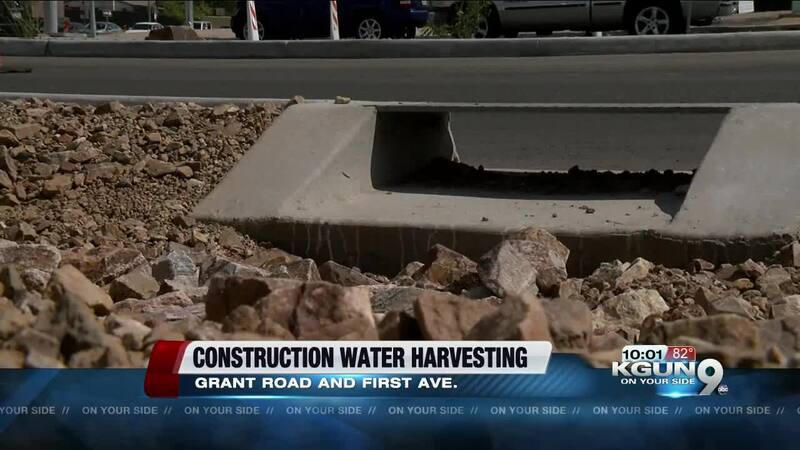 Tucson has already been water harvesting at some construction sites. But now, the city is mandating TDOT crews to collect rainwater in basins at all construction sites. TDOT adopted the Green Streets Active Practice Guideline five years ago and kick-started the policy last month with the Grant Road Improvement Project. TDOT says the amount of water collected isn't a whole lot, but it's helping keep roadways clear during monsoon. "It's not a significant amount, but the thing that it does, is it does help reduce nuisance drainage and get the little puddles off the road," Wittwer said. Wittwer says rainwater contains large amounts of nitrogen which works as a great fertilizer. The city has been a leader in water harvesting for years, and now it's taking a new approach. "We're in the desert, we need to save water any way we can," Wittwer said. The progress of the water harvesting on Grant Road will be closely watched to determine methods used at future sites.